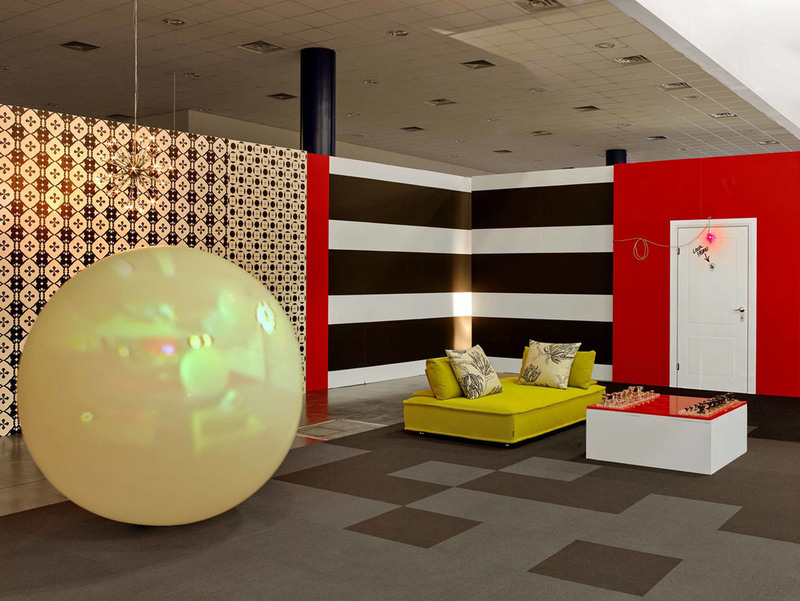 The VIP Lounge of the 2013 Texas Contemporary Art Fair was transformed into a magical environment with MaRS collaboration of an installation by Katja Loher. Loher’s grandscale immersive installation is comprised of projections onto giant inflated weather balloons, “Videoplanets”,that float weightlessly above the lounge. Each intricately detailed video is created in collaboration with a composer, costume designer, choreographer, and dancers. The videos, filmed from birds-eye view, explore the complex relationship between humanity and nature, where multiplication and kaleidoscopic movements of bodies in changing constellations portray collective efforts to preserve our planet’s natural resources. Loher’s installation encompasses site specific works where the choreo-graphy brings the performers together to for letters that shape a human language, a “Videoaplhabet”, which welcomes and communicates messages to visitors.